Cara Delevingne first helped to shed some light on 19-year-old student Yashika Bageerathi’s plight when she tweeted her support last month. The 21-year-old model took to Twitter to raise awareness and help save Yashika from being deported back to her home country of Mauritius without her family. After Cara got involved, the case became a hot topic nationwide – and more than 175,000 people signed an online petition calling for her freedom. But on Wednesday, a High Court judge refused her appeal to remain in the country. She was sent home, scared and alone, on a 21:00 flight out of Heathrow. 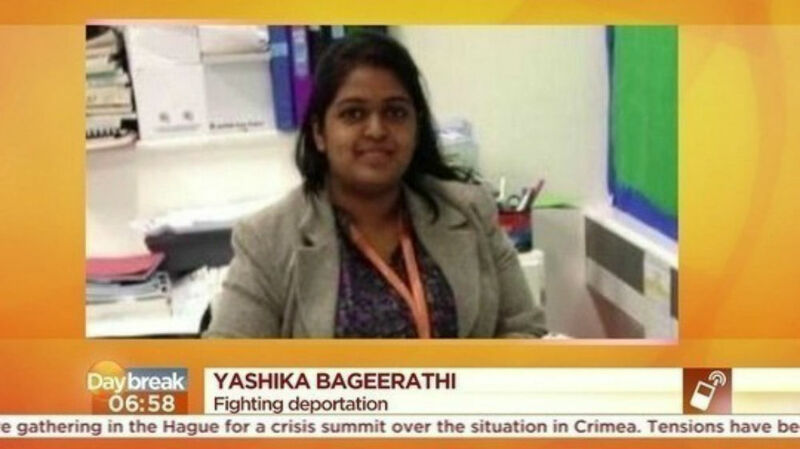 Lynne Dawes, the principal at Yashika’s school, spoke to the BBC about the news. ‘I just cannot believe they would send her back six weeks from her exams,’ she said. ‘Why can’t there just be some compassion and humanity to allow her to stay and do those A-Levels? The case has certainly captured the country’s attention and sparked some divisive opinions. Let us know what you think in the comments below.